Invisalign® is a method of straightening teeth that does not require metal brackets or wires. It consists of a series of removable clear plastic aligners (or trays) that are custom made for each individual’s teeth. When a patient decides to straighten their teeth with Invisalign®, Dr. Ann or Dr. Lauren makes a personalized treatment plan for his or her orthodontic needs. This unique plan is communicated to the AlignTech® laboratory, where each aligner is fabricated via CAD/CAM technology. 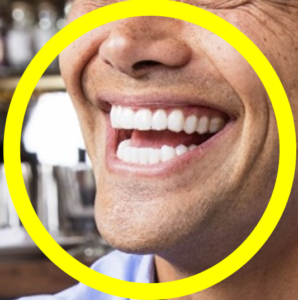 The aligners are virtually invisible, and it is one of the most esthetic ways to straighten your teeth. There are some limitations to the type of tooth movements Invisalign® can accomplish, and not every patient is a candidate for straightening their teeth with Invisalign®. Because of the extensive experience our doctors have with Invisalign®, they will be able to assess your goals and determine whether or not they can be met by using Invisalign®. For Invisalign® treatment, the cost varies depending on the length of treatment and is similar to the cost of traditional orthodontics. Once Dr. Ann or Dr. Lauren have done a thorough orthodontic evaluation, she will estimate the length of treatment and number of aligners required to meet your goals. Many dental insurance companies do provide coverage for Invisalign®. It is a benefit for Adult Orthodontics and typically ranges from $1500-2500. To find out if you are covered, you can call your dental insurance company and ask if you have adult orthodontic coverage. Teenagers are often covered under their insurance plan’s orthodontic benefits, up to a certain age limit, which varies depending on your specific insurance plan. How often do I have to see the dentist during treatment? After treatment has begun, your dentist will typically see you every 6 weeks, which means you will wear three sets of aligners between each visit. 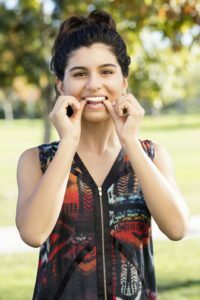 More frequent appointments may be required to monitor the progress of the teeth if the aligners are worn for a shorter time frame. 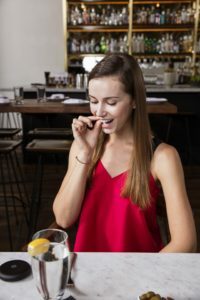 Because aligners can be removed for eating and drinking, there are no restrictions to what you can eat or drink when the aligners are not in your mouth. You can eat with the aligners on the teeth, and the chewing force actually contributes to tooth movement. It is important that you do not drink anything besides water while wearing aligners. Because the aligners keep your saliva from properly bathing the teeth, any acid or sugar from a beverage could become trapped under the aligners and increase the likelihood of cavities. Interested in learning more about Invisalign®? Call our office at 281-667-4010 to set up an Invisalign® consultation with Dr. Ann or Dr. Lauren.